This report is prompted more by what is not happening than what is. At the outset, let us be clear. We're not in India, and we're not going to India to teach this year. The main culprits are George W. Bush, Alan Greenspan, Cheney, Rumsfield, Rove, and all the other war criminals and shysters who wrecked the US economy and brought the rest of the world to its knees. This is not to say that we're destitute. We have the good fortune of being in a place where it looks possible to weather financial storms. In Kandy, we don't need a car, we have no heating bills, and we're not worried about our jobs. In fact, we don't need much at all, except food and broadband. We are concerned, however, about all of you, and we hope that you, too, are being spared suffering from the economic meltdown. If we haven't heard from you recently, please drop us a line! Although we're getting by, our savings are much diminished. Our house in Flint has not yet been sold, so we decided to cut back on travel and luxuries. In addition to Kolkata, we had hoped to visit Bangalore, but going to India at this time is just too expensive. Another factor was the lack of other teachers. We had several inquiries, and some of them indicated that they were ready to hop on a plane, but, when push came to shove, no one came through. 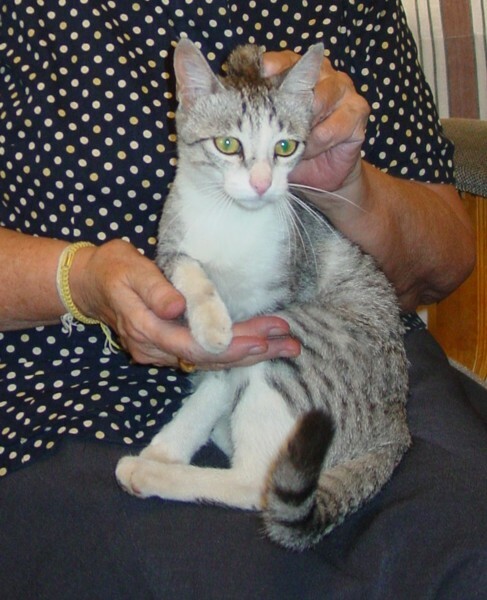 All volunteers were further away than we are in Sri Lanka, so we understand their reluctance. In addition to airfare, many people are surely feeling insecure about jobs and uncertain about the future. As it turns out, Bodhisukha seems to be quite busy now with kidney-transplant patients and pilgrims from Burma, so we're not sure that the monastery was ready for sixty monks to stay there. We'll have to see what the future holds for the intensive course in Kolkata. Speaking of English as a second language teaching, the ten-day course in January here in Kandy was a great success. Buddhist Publication Society graciously granted us the use of the beautiful meditation hall in their building. It was an ideal classroom. Abo ut thirty Burmese monks, mostly from Colombo, studied five hours each day. In addition to the two of us, there were two other regular teachers. Lal Medawattegedera, a teacher trainer and a fiction writer from Colombo, emphasized reading and public speaking in his classes. Lalitha Gunawardana, a retired professor of English from Peradeniya University, taught grammar. Their lessons were a perfect complement to our readings, activities, and puzzles The last few days, Don Kelman, who was visiting from India, and Raj Mendis covered several classes with their own material. On Thursday afternoon, we had to end class early to free the hall for the weekly meditation, so the BPS staff offered dana to all the monks. This meant that the monks did not need to return to the Burmese Rest for lunch, and we had more time for study. On two other days, a generous laywoman from Kandy offered lunch to all the monks and the teachers at a local restaurant, sharing merit with her brother who is recuperating from a kidney transplant in Colombo. Sadhu! Sadhu!! Sadhu!!! The organizers have already begun discussing future courses for Burmese monks in Colombo and BPS is wondering whether there would be interest in such courses for Sri Lankan monks. All of us are willing to teach again, so this may well turn into a regular program. We need to say that the fighting in Sri Lanka, about which you may have heard, has not personally affected us. So far, Kandy is safe. (Knock on wood!) The fighting has been mostly around Jaffna, which is on a peninsula at the northern tip of the island. There have been some terrorist attacks, mostly in Colombo, but also in the south. Kandy, in the center of the country, in the mountains, has been very quiet. 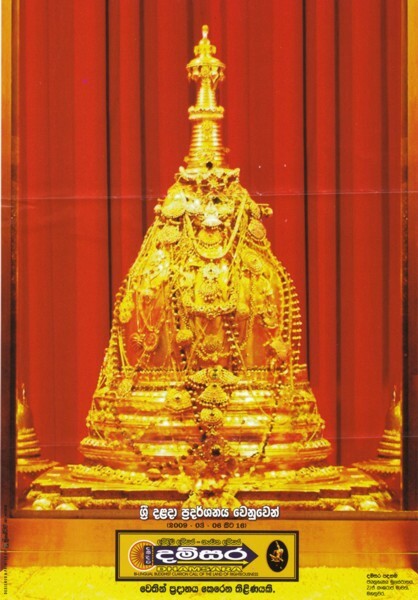 On March 6, for the first time in five years, the Temple of the Tooth here in Kandy opened a special ten-day exposition of the Tooth Relic. For about a week, millions of pilgrims, both local and foreign, flocked to our quiet town. People camped on the sidewalks of the city all night, hoping to be able to pay their respects to the sacred relic, which is the most revered object in the country. In the center of town, all traffic was stopped from 9 AM to 5 PM every day. Downtown was packed solid with people. Although Sri Lanka has been suffering a severe drought that threatened the hydro-generated electricity supply, at the end of the first day of the exposition, we were treated to a deluge, with downpours occurring all over the country. Every day that the relic was worshipped, we had replenishing rains. 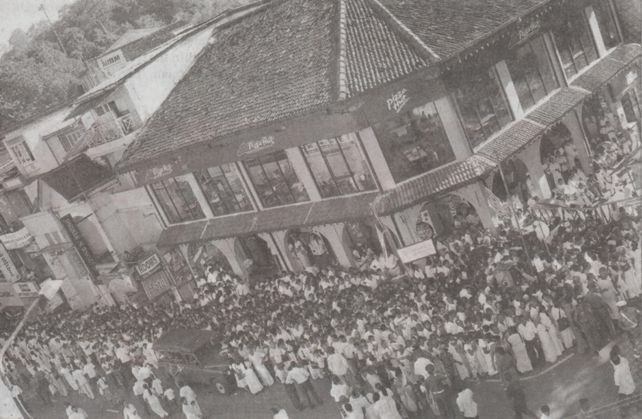 On Friday, authorities declared that the two main streets leading from the city were one-way, and voila, everything in Kandy came to a standstill. That afternoon, Visakha and our neighbor Mrs. Munesinghe went to the dentist's office. There were regular updates that the dentist was stuck in traffic, unable to get to work. While they were waiting, Ken discovered that one of the sacks of vegetables was missing. Our three-wheeler driver hurried to the co-op and found the bag, but it took him two hours to get back to the dentist's office. What a day to have forgotten to take a book to the waiting room! That evening, the authorities (whoever they might be) recognized that the traffic plan had been a disaster, and it was withdrawn. It was also announced that the exposition would be closed several days early. Make of it what you will, as soon as the relic was returned to its repository in the Dalada Maligawa, the rains also stopped. The fighting in the Wanni is, according to the government, the end of the 33-year civil war between the Liberation Tigers of Tamil Eelam and the Government of Sri Lanka. Security forces have "liberated" almost all of the territory controlled by the rebel terrorists. The problem is that there are perhaps as many as 200,000 civilians remaining in the area still under contention. It seems that the Tigers will not allow them to leave the war-zone. There are tens of thousands who have escaped and are being housed in camps nearby where conditions are said to be harsh. The government has ordered that, for their own safety, all relief and human rights organizations be denied access to these the internally displaced people. The most critical cases are being taken by a UN-chartered ferry to Trincomalee. No one can expect that the LTTE, which is even now forcing children and elders into uniforms as cannon fodder for the last ditch fighting, will show any mercy toward the hapless civilians under its control. According to the UN, the war in the north has created a severe humanitarian crisis. Unfortunately, the impunity with which the United States and Israel have violated international laws means that this government feels itself to be beyond criticism in the area of human rights and humanitarian protocols. Please join us in praying that the fighting ends soon. Like so many places in our unhappy world, Sri Lanka desperately needs peace and reconciliation. We have a very special and joyous announcement for all members of Students of the Lotus, in Japan, Michigan, and Sri Lanka. About a month ago, we received a letter from Josh Behan, who is currently teaching English in South Korea. 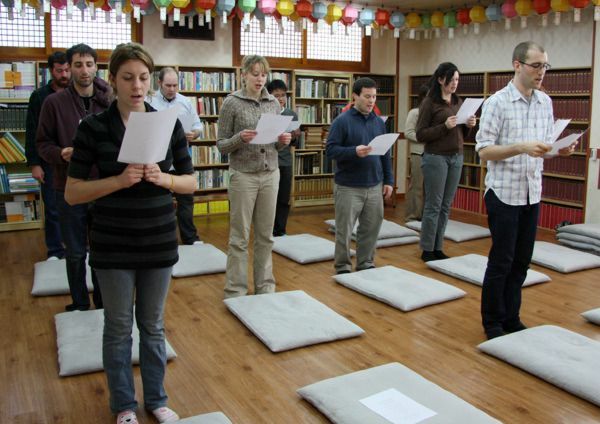 He had arranged with Gong Pa Sunim to form a "Foreigners' Meditation Group" at the temple in Pusan. Sunim was able to get newspaper and radio coverage, the response was good, and the meetings have continued on a regular basis. Sunim pointed out to Josh that he taught us in Japan, we taught Josh in Flint, and now Josh has returned to Pusan. If you happen to be in Pusan, please check it out. Sadhu! Sadhu!! Sadhu!!! to all. Let us mention only briefly that our book of Jatakas, which we thought we had finished one year ago, is finally out of our hands. Since we completed the manuscript, we have several times read and re-read every page. Finally, after numerous corrections and revisions, we have approved the layout proofs of the pages. Now the editor is reviewing them. What started out as a 200-page book has grown to three volumes and more than 1300 pages. When it will be published is anyone's guess. When it actually hits the shelves, will anyone have enough money to buy it? We wonder. 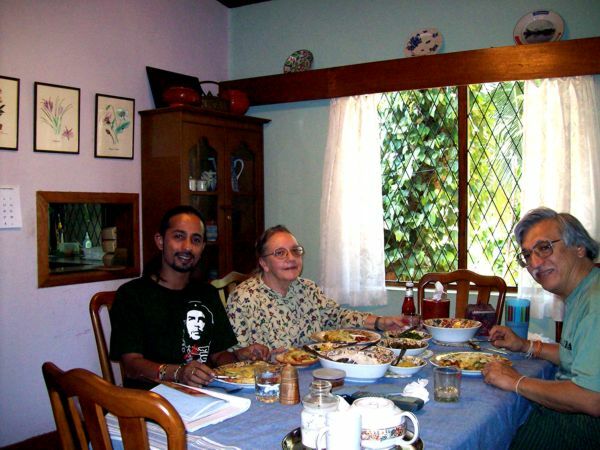 After the intensive English course at the BPS, we had dear Rajiv here for a month's visit. It was a great treat for us, an excuse to introduce him to our favorite music and to watch every good movie we could get our hands on. We saw Slumdog Millionaire just before the Academy Awards and enjoyed it enormously. (Take that, Salman Rushdie!) Rajiv traveled to the Cultural Triangle by three-wheeler with a good driver. In most places he was mistaken for a Sri Lankan so he felt quite at home. He spent three days meditating at Nilambe, and, while he was with us, we meditated every night. Nezumi loved him, and Rajiv made many friends here. Lily enjoyed spoiling him, and he loved her. He got to know our neighbors, the carpenters, and all the three-wheeler drivers from the corner stand. He talked with them as they worked, and they invited him to their homes. Now that he's gone back to India, people are always asking how he's doing and when he's coming back. That's one rare guy! We're grateful that a few of you ordered Buddhist Knowledge Quest, but the demand has been much less encouraging than we expected. We printed one thousand copies, but, at this rate, that supply will last longer than we will. How to keep busy is never a problem around here. 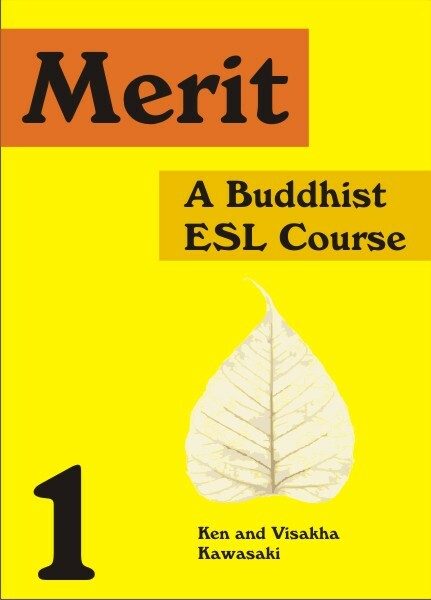 We've just begun serious work on a project that we've been talking about for some years, viz, an ESL textbook with Buddhist themes. At last, we are composing it, lesson by lesson, and testing it on the monks and novices in our classes at Vajiraramaya and Subodharama. The setting is a pilgrimage to the sacred sites in India. 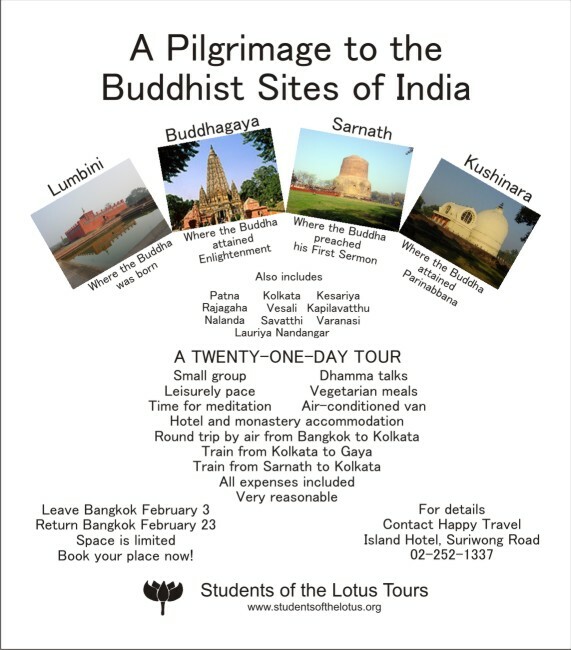 Six characters from different countries arrive in Bangkok and, for various reasons, join a pilgrimage tour to India. 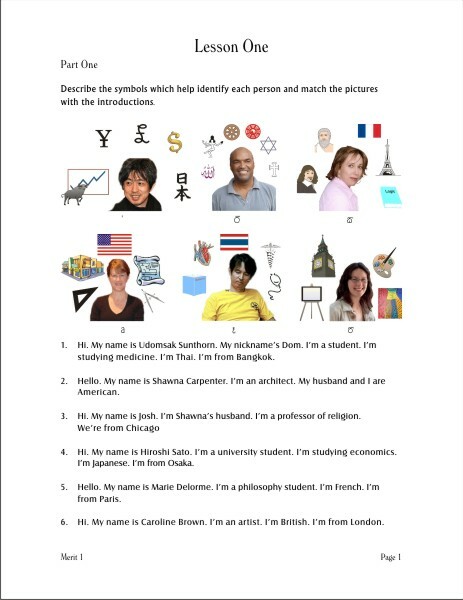 The lessons are filled with dialogs, grammar practice, readings, and activities based on their adventures. So far, it's been fun, and we hope it will be exciting for both students and teachers when it is finally completed. With all of you we share Merit!